WASHINGTON—Dioceses across the country will be welcoming thousands of people into the Catholic Church at the Easter Vigil liturgy on the evening of March 31. As the culmination of the Easter Triduum, the vigil celebrates the passion, death, and resurrection of Jesus. 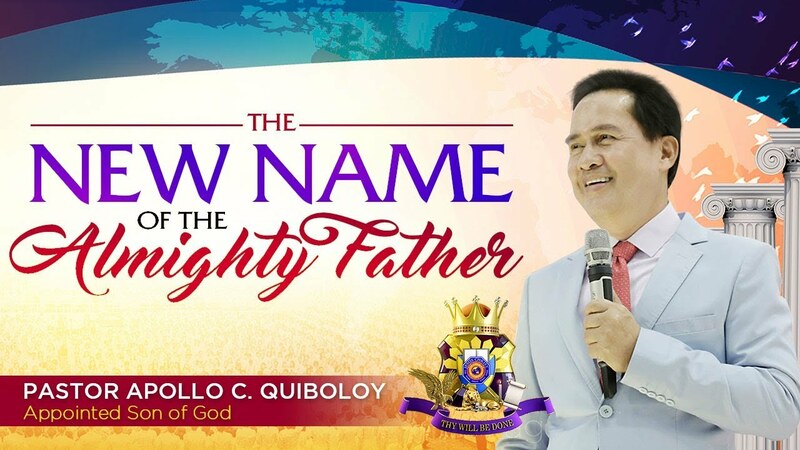 While people can become Catholic at any time of the year, the Easter Vigil is a particularly appropriate moment for adult catechumens to be baptized and for already-baptized Christians to be received into full communion with the Catholic Church. 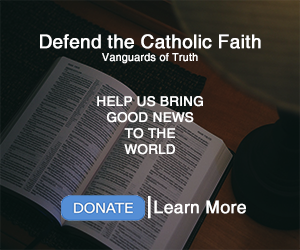 About 85 of the nearly 200 dioceses across the nation have reported their numbers of catechumens and candidates for full communion to the U.S. Conference of Catholic Bishops (USCCB). 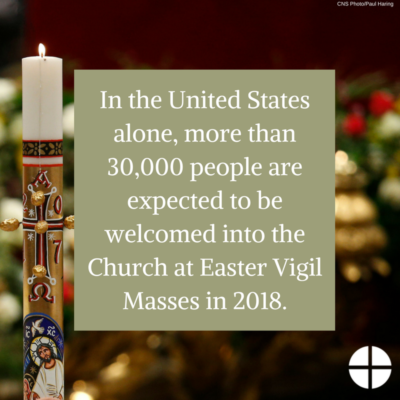 Based on these numbers, more than 30,000 people are expected to be welcomed into the Church at Easter Vigil Masses this Saturday. For example, the Archdiocese of Los Angeles, the largest diocese in the United States, will welcome 1,700 catechumens and 1,127 candidates. Among them will be catechumen Tina Robinson. Raised in a Baptist church, Tina eventually started attending a non-denominational church. 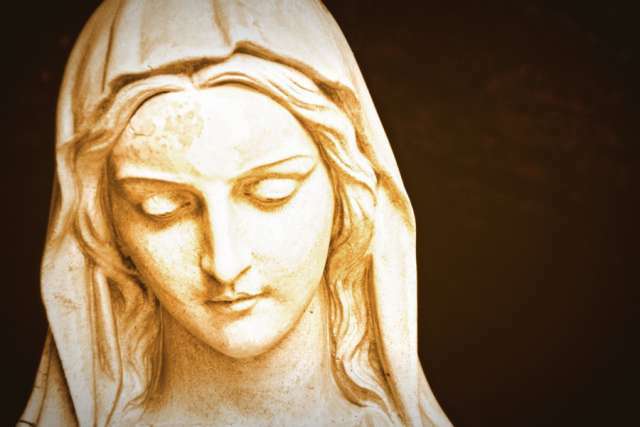 After she married a cradle Catholic, she prayed to God for guidance. A few days later, Tina received an invitation to attend St. Bernard’s Parish on their front door. “That was my calling” says Tina. 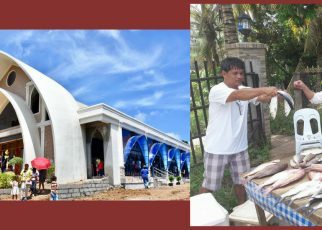 Bakit galit na galit si Satanas at ibang sektang Protestante kay Birheng Maria?